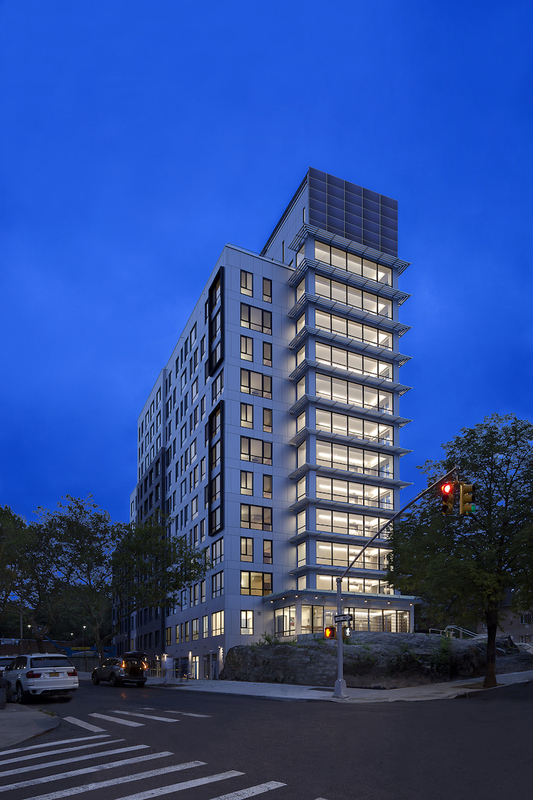 A new 13-story building, commissioned by The Catholic Charities of the Archdiocese of New York and designed by Magnusson Architecture + Planning, will provide 112 units of affordable housing for low-income families in the Bronx. The building was built on the site of a former St. Augustine’s church. 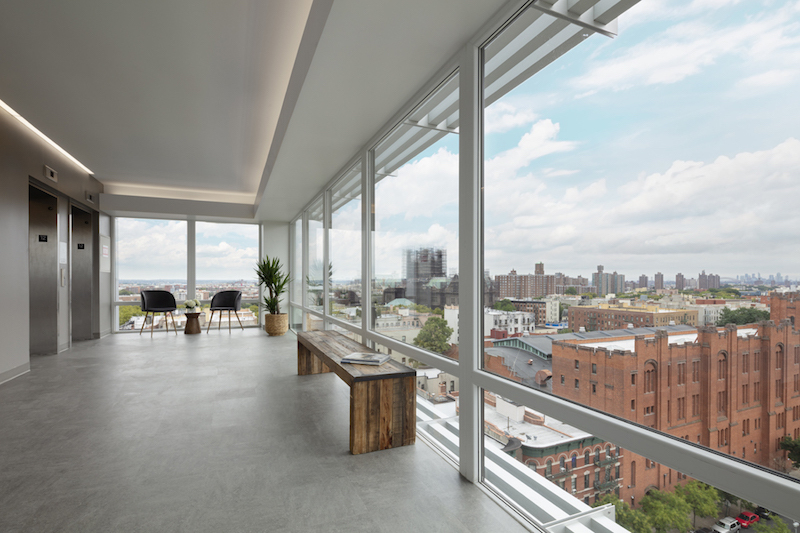 Its design was inspired by the idea that a house of worship is a beacon of light for a community, and at night, the new building takes this idea literally as light pours from its 13 floors of fully glazed elevator lobbies. 35 of the apartment units (all studios) will be set aside for adults with mental illnesses. 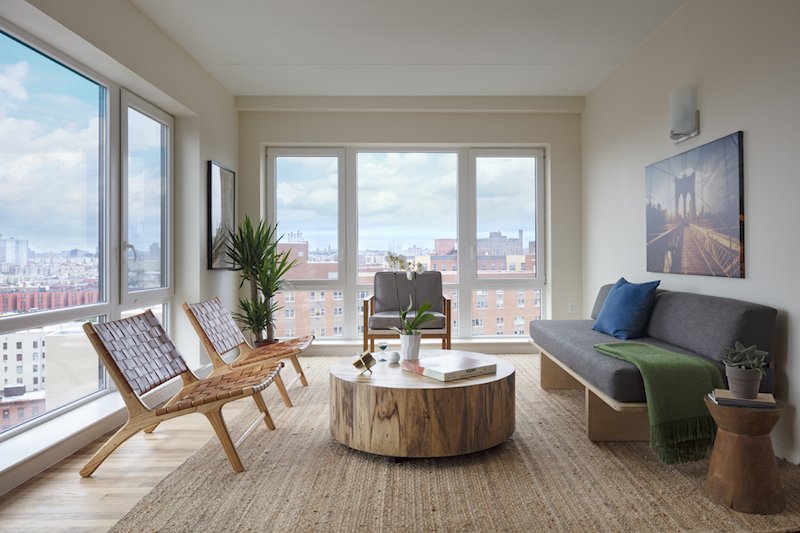 The remaining 77 units will include 19 one-bedroom, 37 two-bedroom, and 21 three-bedroom apartments. 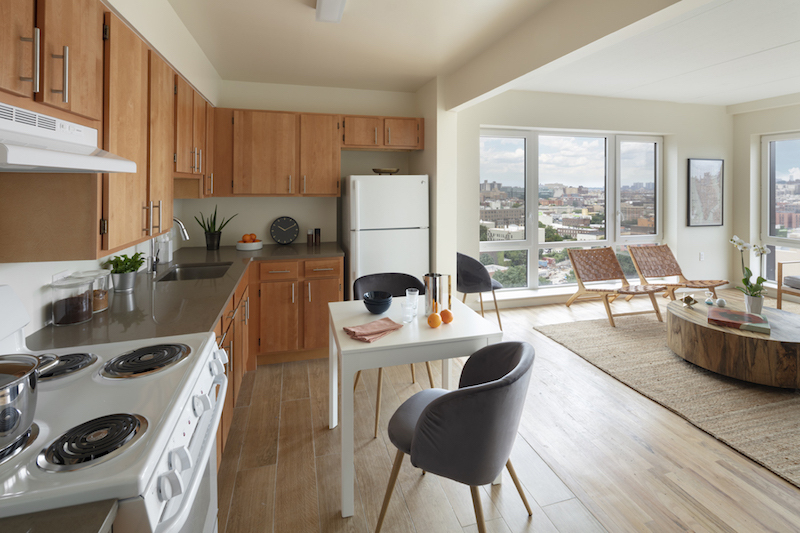 Building amenities include offices for social services, supportive housing offices, a community/multi-use room, laundry, a landscaped front yard, and bike storage. An integrated PV system is expected to offset 55,555 kWh in the first year of operation and will help the project earn its expected LEED Gold certification.